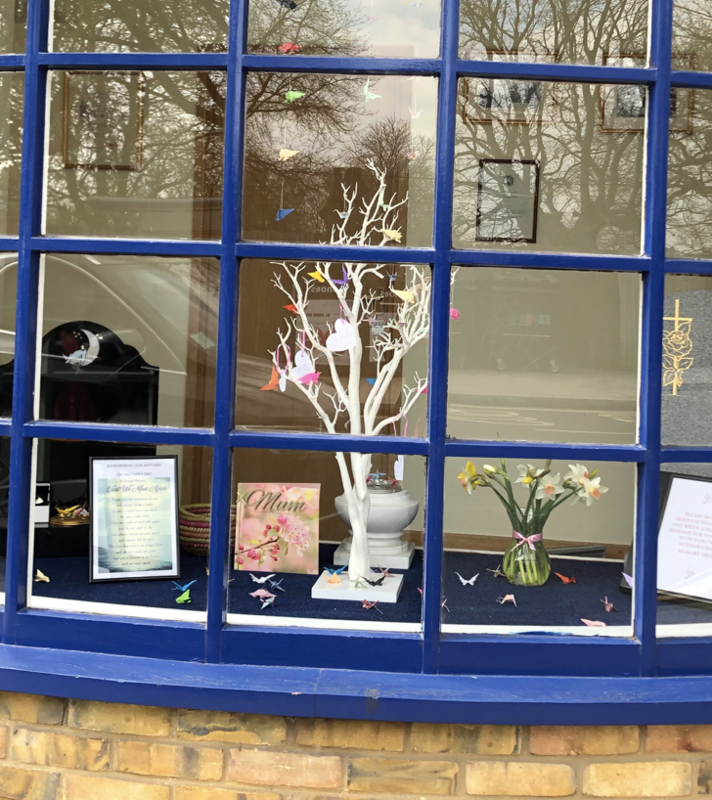 Yvonne at Hampton Hill branch has placed a Mother’s Day Remembrance Tree in the window along with a poem ‘Remembering our Mothers’ butterflies and cranes. Clients and passers-by are invited in to write a message to their loved one to hang on the tree. There is also a reminder that clocks go forward this weekend.